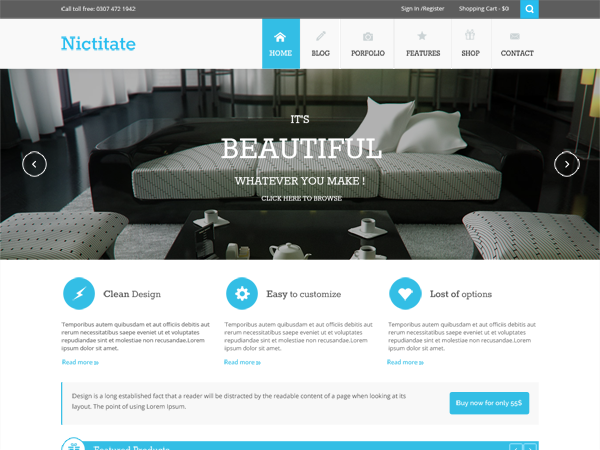 Nictitate is a multi purpose wordpress theme which could be used for almost all kinds of business. You can use it for Ecommerce, Blog, Portfolio, Coporate web site. Especially, it comes with Jigoshop plugin which makes it become a good ecommerce website. Liliana from Mojo-Themes is a great premium business responsive theme with clean, flat design. It is perfect for companies that require a portfolio, about page, blog and testimonials. It is suitable especially for modern and corporate designs. We love the foxy theme because it is an all-in-one solution for online businesses. It is perfect for eCommerce, or simple business portfolios. Thanks to its responsive design and eCommerce integration, it will help you find the balance of simple and beauty with design elements. Fun and organized, with many great features. 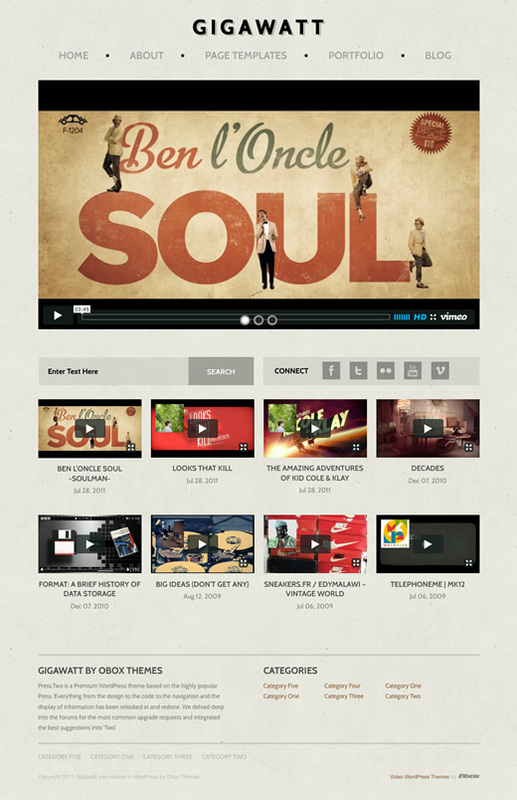 Gigawatt, by Obox-Themes is a beautifully designed, vintage style video blog theme. It was designed with simplicity and flexibility in mind. Because it is responsive, it will ensure that all visitors will have a great experience on your website. 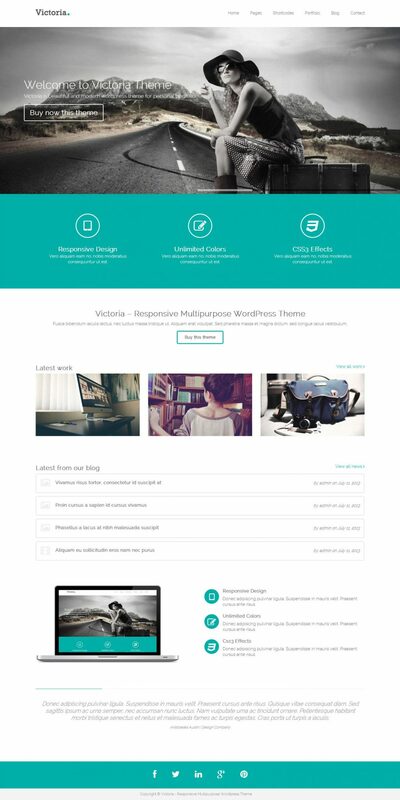 Professional and Modern, these are the two words that best describe the Dynamo Responsive WordPress theme by Obox-Design. We love it because it looks great, especially if it is destined for eCommerce websites, it is flexible and full of interesting features that will excite corporate websites, design agencies, freelancers, and medium or small firms. 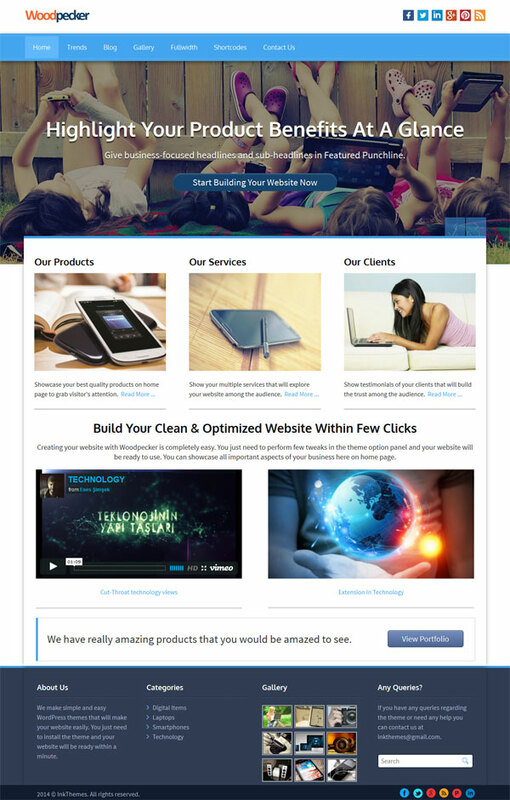 A perfectly designed fully-responsive theme which can be used for the business niche. With it you can create a sophisticated, professional company page in no time, because it is equipped with all the elements to strengthen your business website. A key element is the fullwidth slider on the homepage. Brought to you by InkThemes. fullwidth slider on home-page for 8 images max. React is a great theme for businesses looking for a clean design for their company’s website, brought to you by Mojo-Themes. 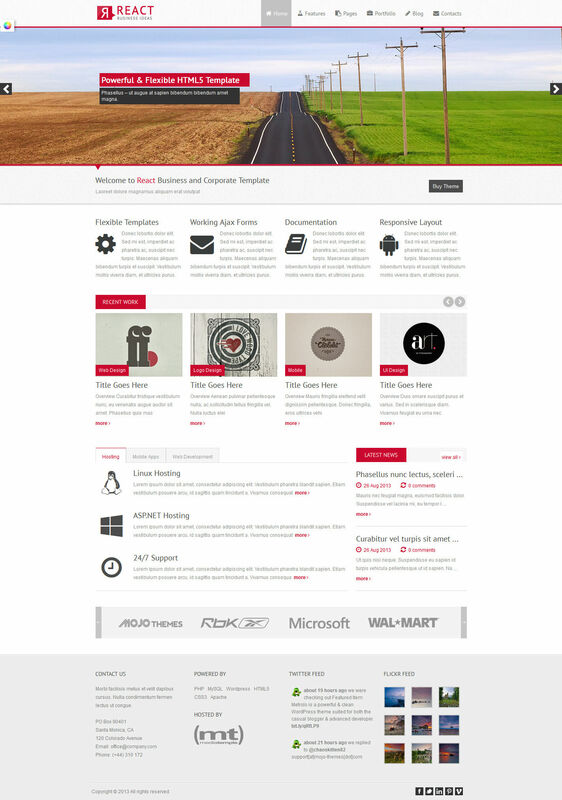 The Business Grow Theme by InkThemes is one of the most popular themes for business websites, because it easily displays all essential features of your website on the home-page. This means that it has increased navigability, and a beautiful design. No page browsing, no page loading, just fast preview for better conversion rates.